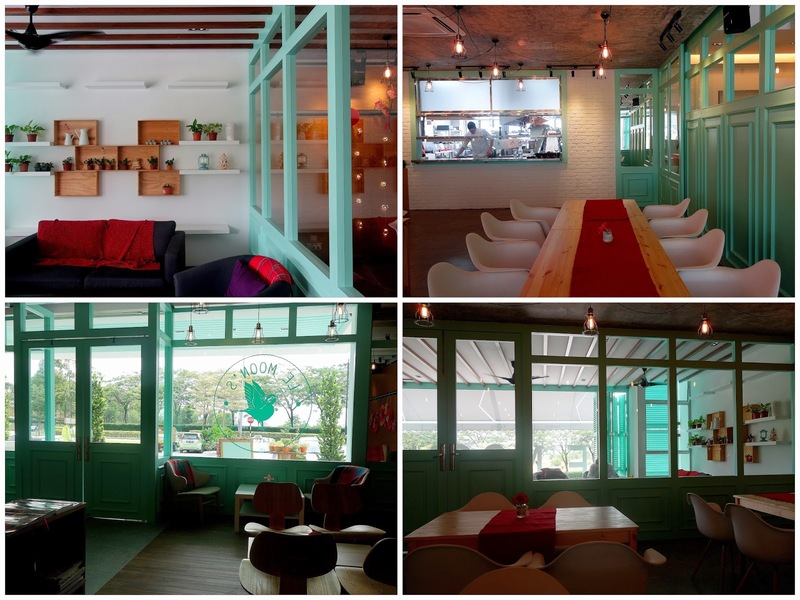 Le Moon's has risen over Kajang's gorgeous township of Jade Hills, radiating the sort of sunshiny cheer that's the hallmark of the Klang Valley's most pleasant cafes. 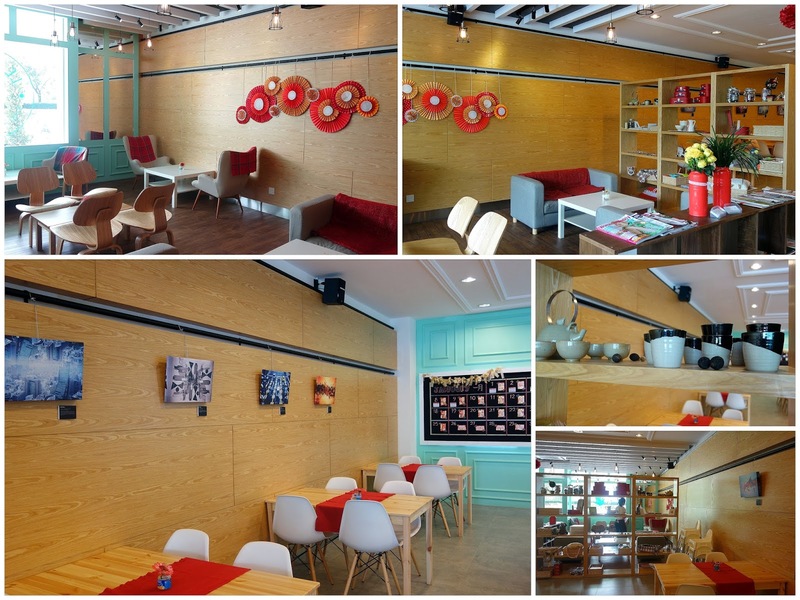 This three-story venue is beautiful, a real oasis where customers can linger, laugh & feel refreshed. Love the space. Le Moon's is a family-owned restaurant, run primarily by former engineer Pey Pey, who shepherds a service team that's generous with smiles & graciousness. The kitchen is led by South African chef Steven Kruger (some might remember him from Romanza in Terrace At Hock Choon). Splashes of creativity enliven Le Moon's recipes. The specialty breakfast wrap (RM19) is served 8am-11:30am; it's a bunch of beloved brunch components _ scrambled eggs, turkey bacon, mushrooms, tomatoes, caramelized onions & cheese _ swaddled in what tastes very much like roti canai. 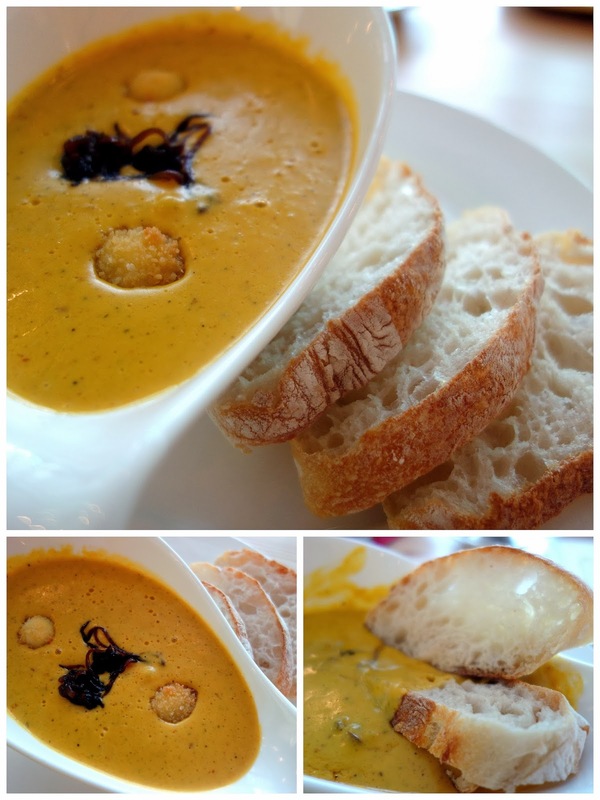 Roasted pumpkin & sage soup, piping-hot with garlic-&-herb goat's cheese croquettes plopped in, accompanied by satisfyingly soft, fresh bread (RM18). These recipes can be heavier & creamier than expected, so it might be best to order them for sharing. Always happy to have risotto (RM18): Le Moon's is a rich, flavorful one, heaped with pan-fried wild mushrooms (plus a mushroom-stuffed crispy tortellini), slow-roasted cherry tomatoes & those cheesy croquettes again. It's listed in the starters section, but it's really a main. 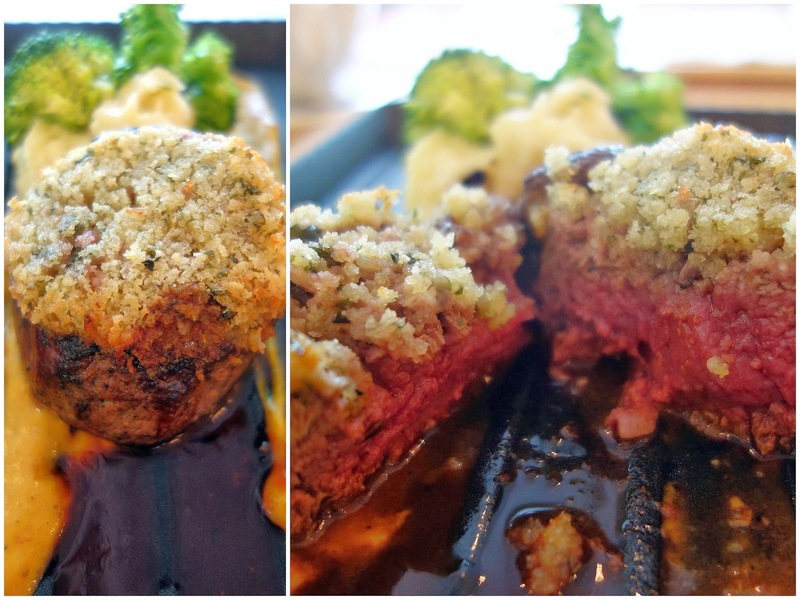 Grass-fed beef tenderloin (RM48), succulence that can be smoothly sliced, 180 grams crusted thickly with bone marrow, served with Anna potatoes (carbs cooked with lots of butter), veggies & rosemary jus. There's only one dessert on the soft-opening menu; fortunately, it's a nice one. Crystallized almond parfait with choux pastry, apple sorbet & honeycomb coated with chocolate (RM15). Successfully complex in its ambition. 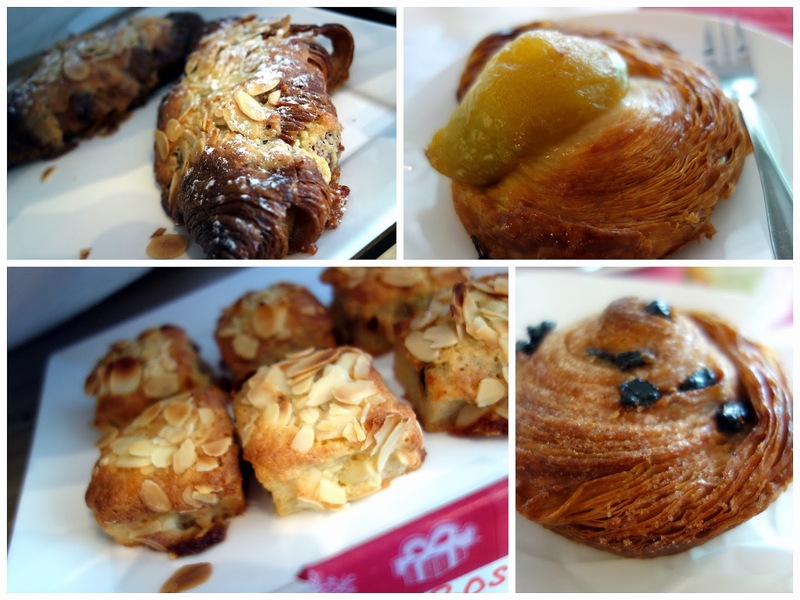 Le Moon's is also plenty proud of its pastries, hearty bricks for lusty appetites, including the French almond-studded bostock. Coffee connoisseur alert! Le Moon's is hosting two "coffee masters" from Taiwan who'll "share their stories" here this weekend, specifically 11:30am-2pm, Saturday, January 11. Seats are limited, so call for reservations. Meanwhile, the cafe serves a very well-prepared latte, perfectly at drinking temperature too. It's illy. Prefer something cooler? The iced chocolate might work for that. 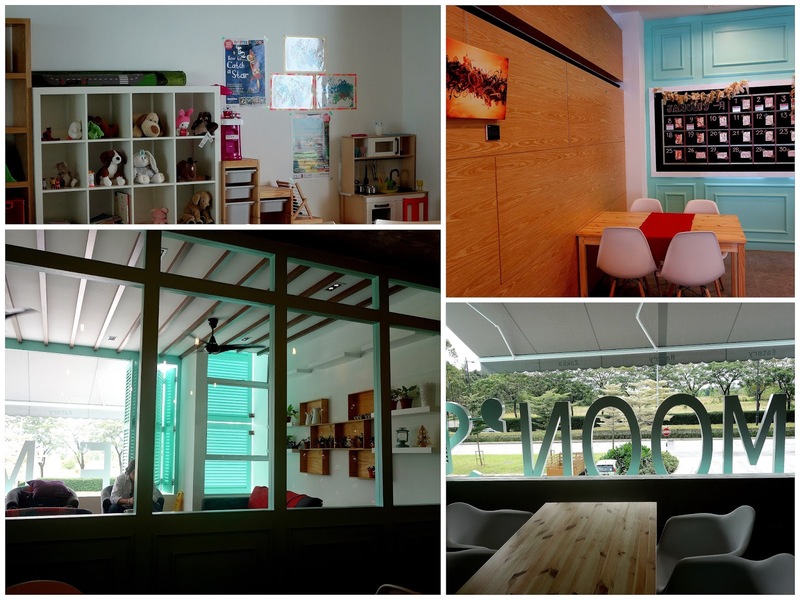 All in all, is Le Moon's worth what would be a long, winding drive to Kajang for KL's foodies? On a leisurely weekend, absolutely. Expect to hear & read much more about this place in 2014.
looks classy and i liked it, will go it one day, noted with thanks! The decor of the place is really nice.. it actually makes me feel like it's not someplace in KL, more like somewhere in Australia. Omg, is a turquoise color designed place! My favourite color!!! and quite interested with that dessert, cant imagine how it taste. Nice! Food looks great...but why are the places you go to usually empty? "Private screening"? Special invitation? And must say food looks hearty. Guess its a good stop during our drives. Food and pastries look good! Kajang prices " too! Guess it's worth the drive for such good food & decent prices! 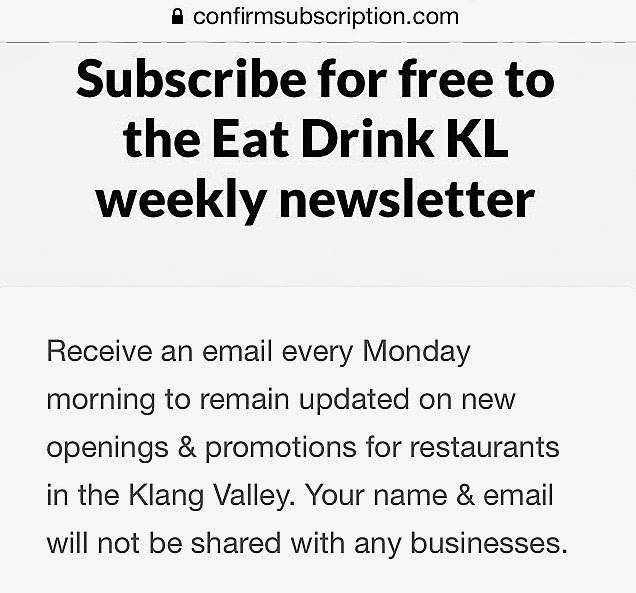 i really like the concept of this place and the effort that goes into making the menu which is different from the ordinary. these look soooo good! I want to curl up with one and a big cup of coffee! Cquek: sounds like a good plan for a weekend afternoon! I had visited this place one month ago. The illy coffee was good....and my salmon sandwich was excellent, contrary to the usual smoked salmon which is way to salty. And the price is reasonable for this sort of western food, but definitely no kajang pricr as someone commented. The id of this place? Not to my liking....a bit girly in fantasy land....inside n out. Services were prompt when i was there....probably i was the only other customers. Next time i shall try the mushroom rissotto...one of my favourite italian dishes. Hi, we would to planning hv a gathering there. i would like know more about details. 3. how many ppls can fit in? My name is Mrs.Irene Query. I live in Philippines and i am a happy woman today? and i told my self that any lender that rescue my family from our poor situation, i will refer any person that is looking for loan to him, he gave me happiness to me and my family, i was in need of a loan of $150,000.00 to start my life all over as i am a single mother with 2 kids I met this honest and GOD fearing man loan lender that help me with a loan of$150,000.00 US. Dollar, he is a GOD fearing man, if you are in need of loan and you will pay back the loan please contact him tell him that is Mrs.Irene Query, that refer you to him. contact KELLY WILLIAMS,via email:(kellywilliawsfinancial@gmail.com) Thank you.